Husband and wife duo, Ruth and Gary, reached out to Davison 12 years ago for our expertise in preparing and presenting their product to corporations for licensing. 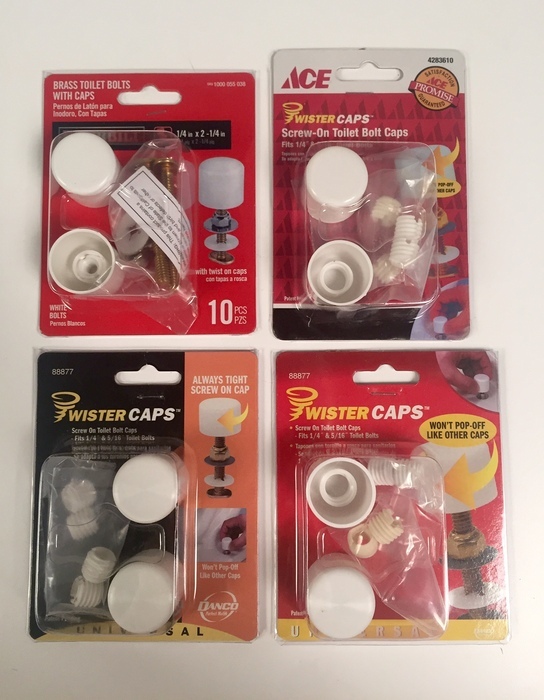 Twister Bolts and Twister Caps solved the problem of caps popping off the base of the toilet – a relatable problem for many consumers. Little did they know then that their product would be a huge success and would result in a royalty check every quarter for a dozen years! Just like with most invention ideas and products, it’s not always an easy path to success. When it came to Ruth and Gary’s Twister Bolts and Twister Caps, it was clear this product wasn’t going to get licensed right away, taking into account that toilet bolts come in different sizes. From a retailer’s perspective, they are always looking for a simple solution for customers that won’t cause confusion in a store aisle or result in customers headed back to the store for returns. “The problem was how do we get different threads to fit?” said Mr. Davison. “We came up with a better way!” By designing caps and bolts to fit two major sizes – ¼ inch and 5/16 inch – Ruth and Gary’s Twister Bolts were fit for store shelves success. With millions of units selling around the nation in big box stores like ACE Hardware, Home Depot and various mom and pop hardware stores still to this day, it’s a big win for Ruth & Gary and for the team at Davison who couldn’t be happier to see a client succeed. It’s all about moving forward and not giving up! “These people didn’t give up. They worked on the project before they got here and failed. They spent quite a bit of money and failed. They then decided to bring us in and to get back up again and try to fail their way forward with us!” said Mr. Davison. “Failing your way forward is normal. Keeping yourself positive through the process is sometimes a challenge, but you can’t find success if you’re not willing to get back up and try and try again. From the Davison perspective, what we like about this is we believed in our clients. We believed in our ability to help them. We brought them into our community so they felt a sense of belonging as inventors and together we were able to create something that’s now helping consumers with a problem in their house for over twelve years!” said Mr. Davison. 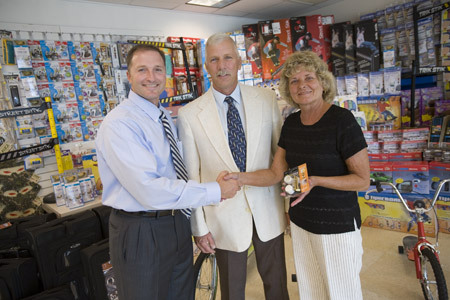 While the clients can see the fruits of their labor every quarter, we can see their success on store shelves! Are you ready to pursue your inventing dreams like Ruth and Gary? If so, you can safely submit your invention idea, here! The typical project is not licensed, sold in stores or profitable.